On paper, the Porsche should be the clear winner, but how can its human driver beat a dual clutch? On paper, everything about this race sets the poor BMW M4 up for failure. Just think about it. Even with 425 horsepower and legendary track credibility, it sends its power to the rear wheels, which rest under a rear end that’s set up for slippery oversteer and can easily pull it off thanks to the gobs of twin-turbo torque it has on tap. So yes, 425 horsepower is still quite a bit, but in a straight line, a driver can find a better alternative that makes better use of that sort of power. Something like, say, the Porsche 991.2 911 Carrera 4S. 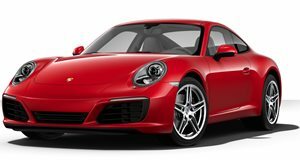 Even with negligible 5 horsepower deficiency compared to the Bimmer, everything about this Porsche is set up to maximize its 420 horsepower output for straight line use. It has it all, a lower curb weight, an engine over the rear axle holding the rear down and preventing wheel slip, and it sends power to all four wheels instead of just two. So why is it that this Porsche loses to the BMW M4? That can be attributed to one thing: a dual clutch transmission. This Porsche is spec’d properly for a driver that loves to drive, featuring a 7-speed manual transmission. 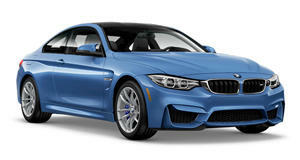 The M4, on the other hand, has a seven-speed dual clutch automatic. It takes a side-by-side comparison of the two cars when competing in a rolling start drag race to see the differences, but the result is clear. While both start neck and neck, the BMW seems to gain a car length with each Porsche upshift.